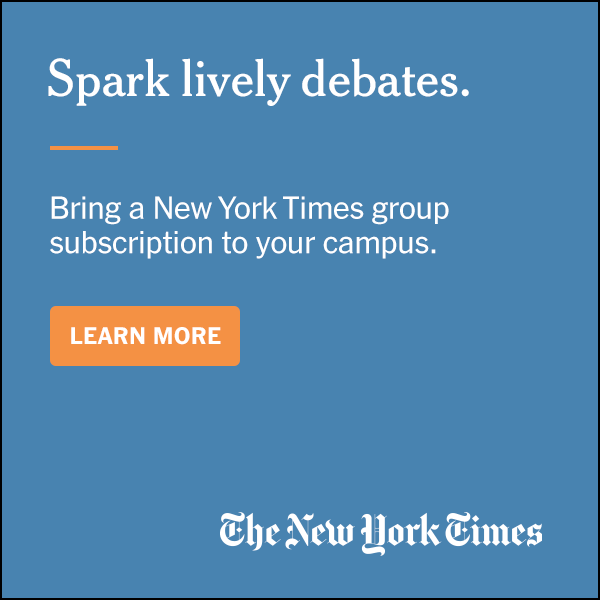 Improve your Student Government. Join ASGA. Learn about ASGA, the national professional organization that serves and supports nearly 1,500 Student Governments of all types and sizes. 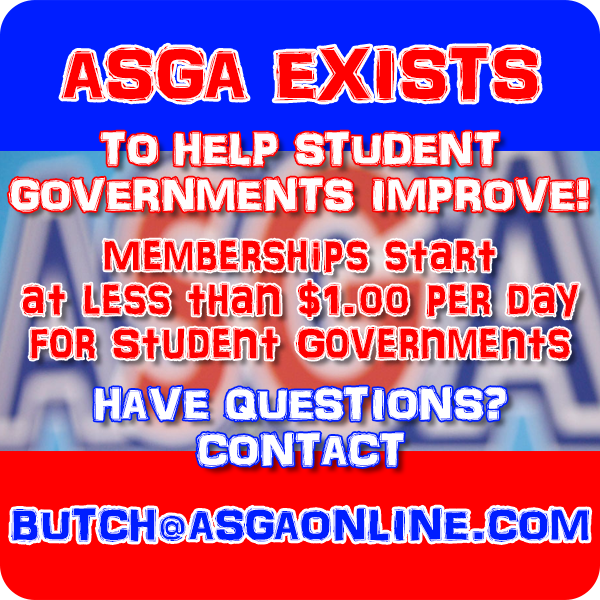 Elected or appointed student governance organizations at any higher-education institution are eligible to become ASGA Student Government Members. Your membership dues are based on the number of full-time students attending your institution’s specific campus that your organization represents. If your institution has multiple campuses, each campus’ “SG” is eligible for ASGA membership and dues will be assessed based on that specific campus’ full-time enrollment represented by that campus’ SG. There is no limit on the number of members in your group who may have access to ASGA. All members, officers, and advisors will get their own usernames and passwords to access ASGA’s resources anytime from anywhere. If you want to join, ASGA will develop a payment plan to meet your budget needs. For example, some schools pay half now and half at the end of the budget year. At institutions where the Student Government is not currently an ASGA member, student leaders who desire to be affiliated with ASGA and benefit from its services may become Student Members. High school “Student Council” groups will benefit from becoming ASGA members. Student Governments from non-American colleges and universities are eligible to become International Members. Membership includes usernames and passwords for all members of your organization. 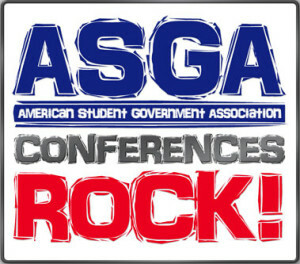 Any statewide or national student association or lobby group may join ASGA. Once a statewide association is a member, any individual institutions represented by that group may then join at 30-percent off the normal membership dues for Student Government Memberships. Non higher-education institution groups, organizations, and companies are eligible to be Associate Group Members. Dues include usernames and passwords for all of your organization’s leaders to access ASGA resources and twice-annual access to the entire ASGA member list. You will get the raw data via Excel file so you can send e-mail blasts and/or mailings. Non higher-education institutions/organizations are eligible to be Associate Individual Members, even though their organization is not an ASGA Member. Dues include a single username and password to access ASGA resources and annual access to the entire ASGA member list. You will get one-time access to the raw data via Excel file so you can send an e-mail blast and/or mailing. Companies and organizations which offer SG-related services are eligible to become Platinum Sponsors, Gold Sponsors, or Silver Sponsors. See Sponsors for more details on benefits and services associated with becoming an ASGA Platinum Sponsor, Gold Sponsor, or Silver Sponsor.